by Travel Expressions - Prague, 52, Czechia - 2 people like this. Prague is home to a large number of famous cultural attractions, boasting more than ten major museums, along with countless theatres, galleries, cinemas and other historical exhibits. Plus, the entire city is connected by way of a modern public transportation system, meaning you can easily and inexpensively see everything you want to. As for anywhere you travel, there are inevitably going to be tourist traps that could put a damper on your trip. Our goal is to help create the most perfect trip possible for you, which is why we're with you every step of the way. So when you go to Prague, be sure to contact of one our expert travel consultants to help you plan and book. You should also check out this article by Audrey Scott of UncorneredMarket.com: "Insider's Prague: Tourist Traps to Avoid, What To Do, Where To Eat." This super thorough guide has a ton of great information about the city - as she describes it, "some ideas on how to minimize the tourist schlock, what to replace it with, and what to eat at the end of the day." "Just down the Vlatava River from Prague Castle is the lesser-known 10th century castle of Vyšehrad. 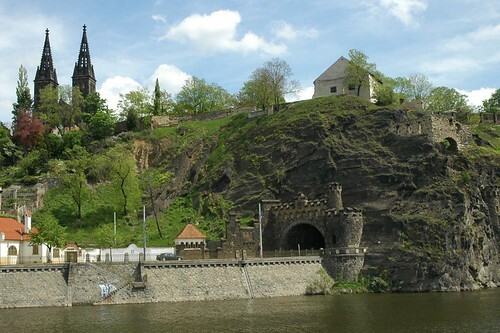 In addition to offering great views of the Vltava River and the city, Vyšehrad features grassy grounds stocked full of locals having picnics with family and friends. The cemetery at Vyšehrad is also home to many of Czech greats of art and music, including Alphonse Mucha and Antonín Dvořák. The Peter and Paul church is also worth a look – neo-gothic on the outside, but Mucha-inspired art nouveau murals on the inside." Start your next trip today with Travel Expressions!